Welcome to Golden Apple Medical Clinic. At Golden Apple Medical Clinic, we strive to provide a positive experience for each and every patient. The management at Golden Apple Medical Clinic is committed to protecting the privacy of our patients within our practice. Information collected is kept strictly confidential and used only for the medical and health care of our patients. You will be treated with respect, consideration, dignity and compassion without discrimination. You will receive care that respects your values and beliefs. We ask you to respect other patients, your physician and our staff's time. Please organize your information and bring your provincial health card with you to register. Expired health cards are not accepted. Please go to the Ministry of Health and Long-Term Care in advance to update your health card. Be prepared to update your current address, email address, phone number, and emergency contact number. Please bring your medication list and/or all of your current medication bottles with you. For physician appointment cancellations, we require a minimum of 24 hours advance notice. If you cancel with less than 24 hours notice or miss an appointment, you may be charged a fee ranging from $40 to $200 by your physician. More than one missed appointment or cancellation with less than 24 hours notice will be reviewed by your physician and could result in not being able to re-book future appointment with that physician. At Golden Apple Medical Clinic, we believe in preventative medicine and healthy lifestyles. We recommend smoking cessation, exercise, healthy weight, and immunizations to prevent diseases and maintain good health. Services provided by our physicians and/or allied healthcare professionals include check-ups, disease screenings, identifying risk factors for disease, providing tips to empower you for a healthy and balanced lifestyle, and help you stay up to date with immunizations and boosters. Our physicians and allied healthcare professionals are passionate in helping our seniors live a healthier and a happier life. Many of us are Board Certified with extensive training and experience in geriatric medicine to ensure optimal care is provided in a timely manner. We focus in drug deprescribing, immunizations, and fall prevention. Our physicians and allied healthcare professionals are familiar with Diabetes Canada and American Diabetes Association Clinical Practice Guidelines. Our Certified Diabetes Educators can provide one-on-one consultations to assess and educate our patients to improve diabetes management and prevent complications. We focus in weight loss, deprescribing,immunizations, and traveling with diabetes. At Golden Apple Medical Clinic, our physicians and allied healthcare professionals believe that weight loss is not one size fits all. We will review your medications, eating and lifestyle habits and make any necessary recommendations. Depending on your individual situation, we may recommend DNA testing to find out what type of diet best fit you based on your genetic makeup. 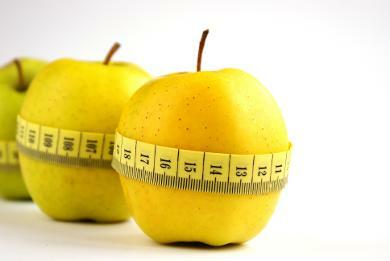 We have weight loss coaches to provide you with a comprehensive education on weight management. The coaches will help you lose weight and keep your weight off in the long-run, since maintaining a stable weight after dieting is often the most challenging task of all.